I posted a new incentive page and the Patreon page is back up too with some new stuff. I finally finished the Magellan's Planetary Excursion Vehicle just in time for this page. 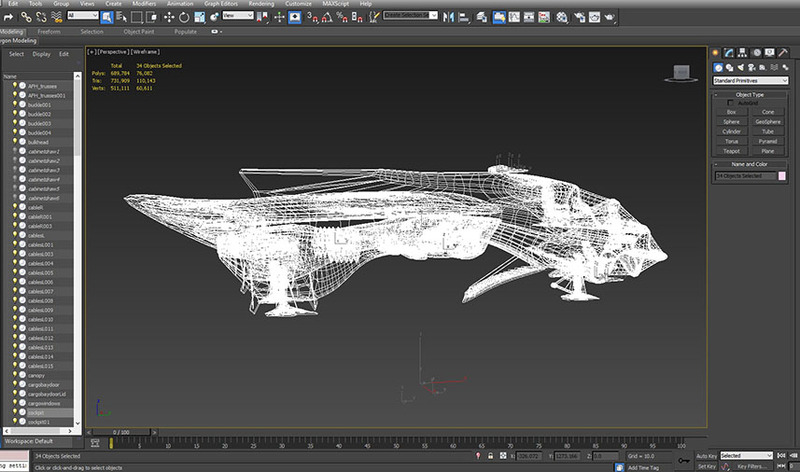 The model is 60k verts but it's just a fraction of the vert size of the Magellan, which you get to see more of later on. now that is one nice "Dragon".. The Minkies call them cloud dragons because all they ever see of them is their contrails in the sky. Please return your seats and tray tables to their upright positions and thank you for flying Air Kirby. Nitpick: I love the line, "Momma is much bigger"! However, it would have more impact with an exclamation on the end. Also, I think "much" should be bold instead of "bigger". Mitri is sure going to have a tall tale to tell her friends (and/or her kits one day). A normal ankle sprain takes a few weeks to heal but with Kirby's combat suit it can heal in a few days. If I remember correctly she took it off about the time that Lennare told her to grow up. Well, she is sitting in the lower gunner's seat. That is a really nice model. Thanks. It was based on a model by someone else because I loved the shape, but that model had so many issues that I ended making a new one from scratch. Terrific update. I really like where this is going. Thanks. We're going to jump to something else for a bit but we'll get back to these two soon.